We can't even guarantee that there will be another Apple Special Event in October —yet that hasn't stopped, squashed, or even dented the rumors of how great it will be. AppleInsider looks at the facts behind other October events, and what could still be on the way. 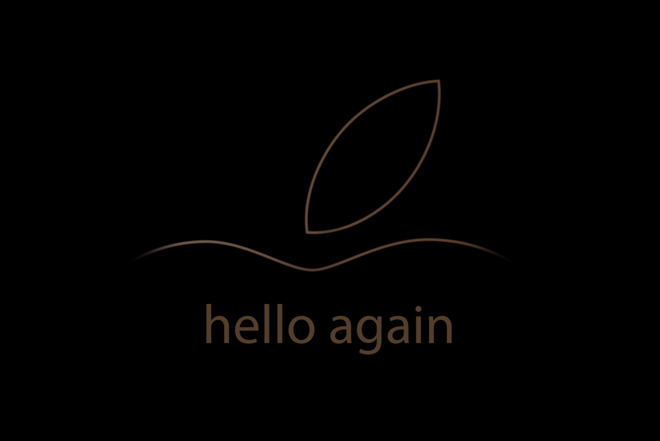 It's reasonable to bet that there will be another Apple Special Event in October. You can't be certain, but it's reasonable. What's not reasonable is just how much people are assuming will be in it. If you're waiting for a radically redesigned iMac, an incredibly powerful Mac mini, cheap MacBooks, plus an early release for the 2019 Mac Pro then, well, you've forgotten all the iPads that we're supposed to be getting too. And new AirPods. Plus, a cheaper HomePod. Apple is a big company but it can't change so many things at once and, more, it's a very smart company so it simply won't. You've seen how the Series 4 Apple Watch arguably stole the limelight from the new iPhones this month. Apple won't ever deliberately do that. Plus, there's the whole logistical issue. The iPhone will command a giant portion of quick shipping from China. In fact, most of the first two weeks of consumer's orders will come direct from the factory. For logistical reasons alone, it's not reasonable for Apple to have launched new everything in September. Plus, why command the tech press cycle for one month, when you can do it for two? Instead, this is when, and how, and probably what we can expect to see from Apple in October. We're saying it's reasonable to expect Apple will have an October event because there's evidence in the supply chain that new iPads and Macs are on their way. That doesn't mean they'll definitely come in October, though —and it's far from definite that there'll be a Special Event at all. Whatever Apple's bringing out next, it might release them without a presentation or Special Event at all. There could be just a press release one morning, like the company did with the MacBook Pro, and some happy faces at an Apple Store that afternoon. This time it seems likely to be an event given the volume of whaat we're hearing. But we're cautious because while Apple has had September events for six years, it has only had just over half that many October ones. There wasn't one last year, for instance, nor in 2015. Apple has been having October events since 2011, though, and from the dates of those we'd expect a 2018 one to be in the fourth week of the month. Apart from 2011's very early October 4 event, none of the rest have been sooner than five weeks and two days after their corresponding September launches. The longest is seven weeks and one day: that was the last such October event in 2016. That 2011 event throws any statistics out: its main launch was the iPhone 4s with Siri. If we only go from 2012 onwards, though, we can see clearer trends. Specifically, at those four October events —2012, 2013, 2014 and 2016 —there were three MacBook Pro refreshes. There were two iMacs. Then three iPads plus three iPad minis. Forget what we believe is coming and definitely forget what we'd like: think instead about what market Apple will be aiming for in October. It's a little late for academia but not too much. And it's bang on target for Christmas buyers. Revamped, revised iPads with thinner bezels and FaceID are the things that are going to sell in the highest numbers this Christmas. Mind you, Apple has a poor track record for actually delivering on Christmas demand. The AirPods, the HomePod and the AirPower were all due out in time for a Christmas rush and failed to appear in time. Apple has just conned us all into regarding a $749 iPhone as the cheap one: this company does not do inexpensive. What it might do, though, is a little less pricey. 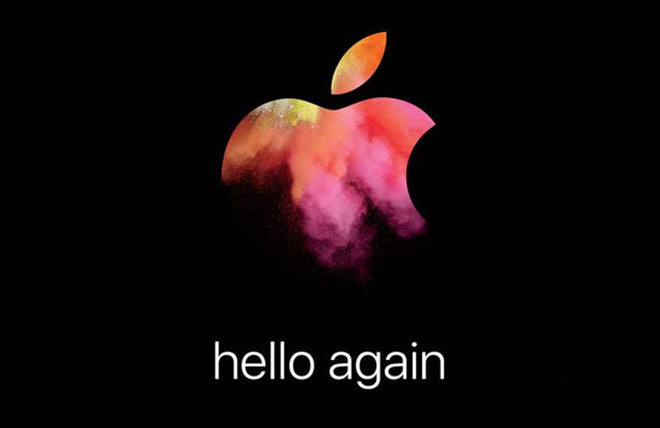 Analyst Ming-Chi Kuo, who got September's iPhone details right, believes there will be a revamped MacBook Air line. What's not at all clear is what the revamp might be. Except that the MacBook Air is currently the cheapest Mac notebook and its replacement is expected to keep to that price or lower. AirPower could still make an appearance —nothing's impossible —but it seems unlikely. That's one we'd expect to see launched with a quiet, even apologetic, press release and certainly not a "One More Thing" fanfare. Or, Apple will ship about six of them on December 31, like it did the 6,1 Mac Pro and declare victory. Similarly, there is another product that Apple promised which we haven't seen yet —a revamped AirPod charging case. 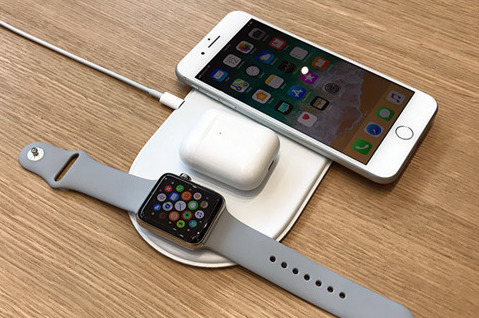 The only new feature of this, that Apple has told us about, is its ability to charge wirelessly on the AirPower pad. No AirPower, no AirPod charging case. Then if we don't get that new chase then it might be reasonable to expect that we won't see revamped AirPods at all. However, this is surely the most-Christmas-enabled Apple product. The company's had two years to get its AirPod manufacturing working at full speed so maybe this is its time. Plus there have been reports of increased audio quality or perhaps health features such as a heart rate monitor. Maybe those reports were really misdirected and referred to the new health options of the Apple Watch but Apple does definitely have a thing now for remarkable health features. And things you stick in your ear seem ripe for exploiting biometric information for us. And, after missing the 2017 holiday sales period, this will be the HomePod's first Christmas. It doesn't seem that likely that a new model will be released before then, rumors or no. Again, this is about what's likely and not so likely at a possible Special Event in October. It's not about what what will ever come from Apple. We haven't heard a lot about a new iMac, but Kuo believes the iMac is about to get a "significant display-performance upgrade." 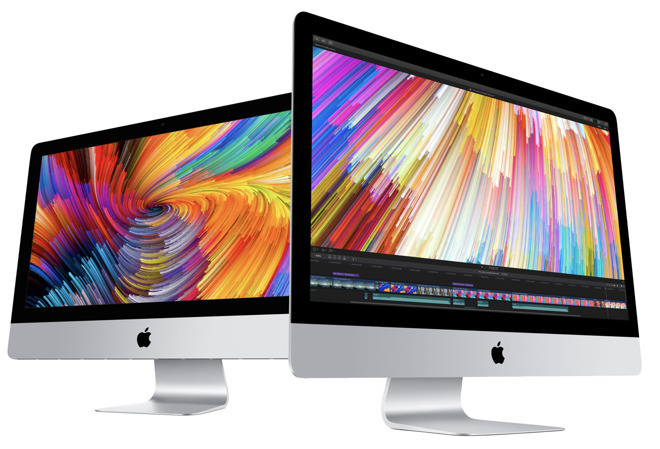 Some are taking this to mean that the iMac will lose its distinctive chin and go edge-to-edge display. That would be very nice, thank you, but it would also make the regular iMac significantly better than the iMac Pro in at least that one way. It seems unlikely that Apple would undermine the iMac Pro design at the same time it's using that to plug a gap before the Mac Pro launches next year. So we're expecting that the iMac display-performance update will be that the screen is improved to a 120Hz refresh rate. That would definitely be welcome but even Apple would struggle to stretch that into a Keynote presentation. As big a change as it could be, it's something that feels likely to be treated as a spec bump and so get only a press release launch. The Mac mini is a small machine with a big history and is surely one of the very most significant Apple products ever made —but try telling that to the iPad-buying audience. These Special Events are meant to be showcases of what Apple wants to sell the most of. We're going to get an October event, but it will be about the iPad and maybe nothing else. You know this, really. Every Apple event now goes through the same cycle. Whether it's a March education event, a WWDC, a September or now also the October events, everyone predicts so much except the one thing you can be sure of. Which is that in the lead up to the event, there will be rumors of every single possible Apple product under the sun. Some of it will be substantiated by AppleInsider-style reporting on supply chain evidence but most will be wishful thinking. There's nothing wrong with that. 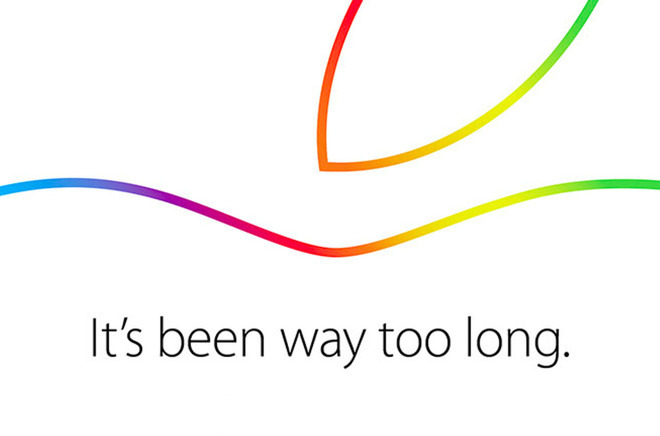 Except that it means inevitably —inevitably —Apple's event is a let down. This is the peak moment for Apple-is-doomed reporting, too, as what it did release is rubbished by some quarters and others decry the company for not releasing what it never said it would. Remarkably quickly, though, this all turns into how no, it's actually Apple's next event that is going to have every possible product under the sun. None of us have actually received the new devices we ordered after the September Special Event. Let's enjoy those when we get them. And let's look to what we need now, what Apple makes now. Although we possibly won't buy an iMac for about seven weeks and one day yet.